The United States Military Army first occupied West Point, New York on January 27th, 1778. It is the oldest operating army post in the United States. Cadets have been undergoing training in artillery and engineering studies since 1794. Female cadets have been admitted to the college since 1976.The class of 1990 revolutionized the campus by demanding a computer to every member of the class, and was an early adopter of the internet in the mid-1990s. The United States Military Academy’s teaching style is formed on the Thayer system. This type of academic approach emphasizes small classes complete with daily homework. This type of education is meant to teach the students responsibility for their own assignments and academic progress. The academy’s academic program is comprised of 31 core courses that are balanced between the arts and sciences. The academy operates on a semester or term system. 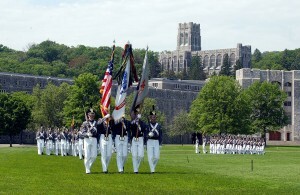 The United States Military Academy West Point is a medium-sized school that offers a full-time, four-year undergraduate program that emphasizes studies in the arts and sciences. The school does not offer a graduate program. 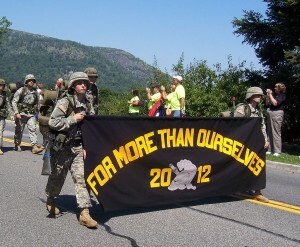 To qualify for admission a candidate must apply directly to the United States Military Academy and receive a nomination. Military officers make up over 75% of the faculty and civilian professors compose the remaining positions. A cadet’s class rank will determine what army branch and assignment that they will do upon graduation. This rank is composed of 55% percent academic performance, 30% military leadership performance and 15% physical fitness and athletic performance. The United States Military Academy is located approximately 50 miles north of New York City. West Point, New York is designated as a federal military reservation. The military reservation is very large, it is completely accessible by foot. The grounds are beautiful and home to many monuments and statues. The campus is also home to the West Point Museum which is the only place general public can access the grounds. The campus even has its own golf course and ski slope. All student residents will stay on campus for the duration of their four years in one of the seven barrack buildings. Most of the extra-curricular activities on campus are run by the Directorate of Cadet Activities, which currently sponsors or operates 113 clubs. Many students find that joining a social club helps to alleviate pressures felt each term. Each cadet class enjoys one or more ‘class weekend’ per year. ‘Class weekends’ are very specail and allows students to unwind and gear up for continuing their academics at the academy. 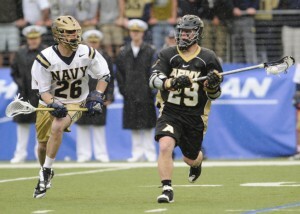 The United States Military Academy has a strong set of athletics. The Army is a Division 1 Patriot in most sports. The official school mascot is a mule, which symbolizes strength and perseverance. The academy’s football team has been nicknamed the ‘Black Knights’ because of the color of their uniforms. The school’s fight song is ‘On the Brave Old Army Team’. Cadets’ attendance is mandatory at all school home football games. The United States Military Academy has produced many notable alumni including the founder of AOL, Jimmy Kimsey and the CEO of Procter and Gamble, Bob McDonald. The school has also produced 18 NASA astronauts, five of whom went to the moon. The United States Naval Academy West Point has also produced many skilled athletes, including three Heisman Trophy winners.